Skipper is an approximately 6-7 month old white and fawn male that had been a stray in south Dallas for approximately 3 weeks. He would follow several dogs in the area, but was extremely scared and could not be captured..............until he was hit by a car on Monday evening, November 21st. 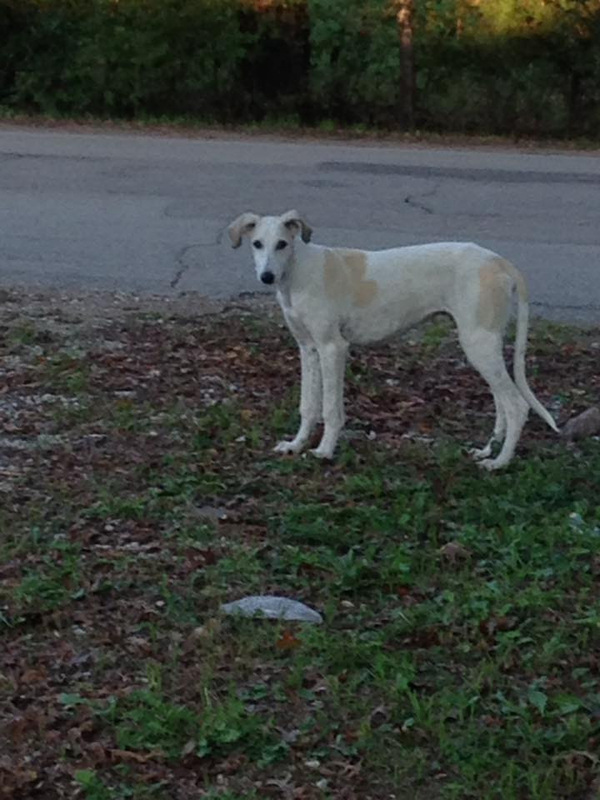 His rescuer had contacted GALT via FaceBook previously so GALT was immediately called. Dedicated volunteers picked up Skipper Tuesday morning and after an initial examination at VCA Preston Park Animal Hospital, he was rushed and referred to Animal Diagnostic Clinic because of the severity of his internal injuries. There are no broken bones; however internal trauma caused bleeding in his kidney area as well as his lung bruising is quite severe. Skipper is being closely monitored with 24 hour care and is being treated medically. It is hopeful that he can pull through, but there are no guarantees at this time. Skipper's injuries have healed internally. He has completed all his medical procedures and is ready to find his forever home. The special medical treatment cost needed by Skipper is why the Miss Mesa Fund was established. If you would like to help with Skipper's care, please take a moment to make a donation to the fund. 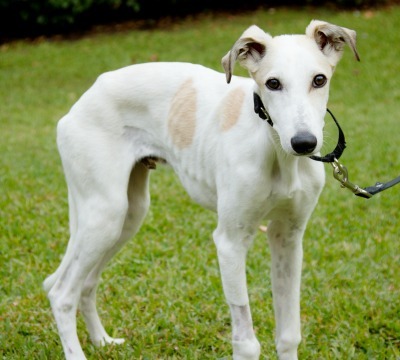 You WILL and CAN make a difference in Skipper's life and the lives of other greyhounds in need of special medical care. Your help and support will make a difference - one greyhound at a time. Please note Miss Mesa Fund/Skipper on your check.